How can Bluetooth hearing aids help you? Hearing aids often present their users with limitation in terms of accessibility to their wireless devices, such as music players or mobile phones. It is not uncommon for a hearing aid user to replace them with earbuds whenever they wish to listen to music, for example. However, that mild annoyance quickly becomes a thing of the past when you select a Bluetooth hearing aid. This device offers both the sophistication and possibility to wirelessly connect its user to their personal devices via Bluetooth technology. While the Bluetooth hearing aid is not currently on the market, talk to your Audiologist at Clarity Audiology about hearing aid options that offer “streaming” technology to its user. 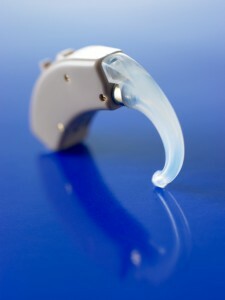 The wireless hearing aids that are currently available to listeners utilize assistive listening devices, otherwise known as “streamers”, that provide a link of communication between the wireless hearing aid and any of the devices the user has that is Bluetooth enabled. The streamer that is used in the wireless hearing aid provides the user a more personalized listening experience that a standard hearing aid does not offer. Controlled by the listener, the hearing aid can be setup to stream in either one or both ears, and the volume is carefully controlled by either the listener or the manufacturer of the hearing aid; talk to your Audiologist about which you would prefer. This makes your hearing aid easily transform into a pair of earbuds, no switch needed. It is important to have a conversation concerning your hearing needs with your Audiologist at Clarity Audiology. Located in several convenient locations in the Ellicott City area, including Catonsville, our professionals will provide state-of-the-art hearing solutions for all of your hearing needs. Together, we can decide if a wireless hearing aid with a streamer is the right choice for you. After you’ve received your hearing aids, the streamer will then pick up a Bluetooth signal from the devices of your choosing. Clarity Audiology & Hearing Solutions offers state-of-the-art hearing solutions for any hearing loss you are experiencing. We specialize in diagnosing and treating hearing loss, fitting and programming hearing aids, and helping you hear again. Located in several convenient locations, from Catonsville to Clarksville, we look forward to helping you with all of your hearing needs. Contact us today to schedule an appointment online or by calling 410-698-6594. To see what we are up to, follow us on Facebook, Twitter, YouTube, and LinkedIn. This entry was posted on Friday, February 3rd, 2017 at 12:31 pm. Both comments and pings are currently closed.